You learn a lot about yourself when you camp. Your patience will be tested when pitching a tent or building a fire, you’ll see food from a whole new perspective, and you’ll understand that sleeping on the ground with little else than a nylon sheet protecting you actually feels pretty awesome. You’ll also learn that some tasks are harder than others, but they don’t always have to be. Here are 18 tips and tricks guaranteed to make your outdoor adventure a bit more agreeable. With a knife, some denatured alcohol, and a little bit of courage, you can transform a 12 oz can into a great DIY camp stove that’ll boil water in 5-6 minutes. We did it, and it's remarkably simple. Doritos are nailing it right now. Delicious snack? Check. Ingenious fire starter? Double check. 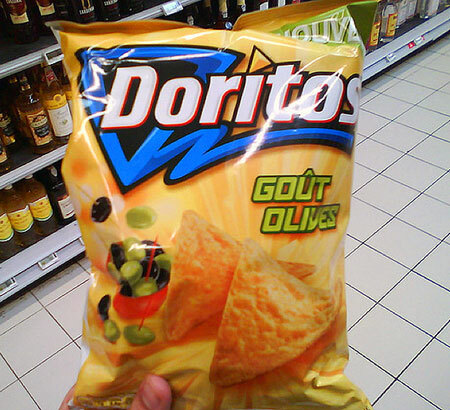 And here’s the kicker: any flavor will do, even Gout Olives! I’m not sure who the first person was who stuffed a bunch of dryer lint into a TP roll and lit it on fire, but goddammit they were onto something. You’d think this would take up valuable cooler real estate. BUT the jug-shaped block of ice will last much longer than cubes, and after it melts, you’ve got a gallon of ice water at your disposal. It’s basically a giant night light for your tent and it adds a nice ambiance. This specific tip is most notably applied to toilet paper, but coffee tins can come in extremely handy for storing anything you want to keep dry, and in one place. Your tent will smell like campfire. You’ll smell like campfire. Your mouth will taste like campfire. You’ve basically slept in the campfire. Pick up a can and spray everything. Your rain fly, your tent, your tent’s seams, your tent bag. Getting caught in thunderstorms can easily put a damper on an otherwise great weekend, but it doesn’t have to. Case makes an amazing one that you’ll one day be able to pass down to your grandchildren. Lyme disease is on the rise. I’ve been caught by ticks firsthand and know how unnerving it can be. Mix up about 40 drops of tea tree oil with around 12-16 oz of water and spray it on. Even if you don’t encounter any ticks, you’ll smell uncharacteristically good. The tipi and log cabin styles are camp standards, but knowing whether you want a cooking fire or a raging bonfire is something to be considered. “But where do I get the warm water from, you goon?” Good question. You could either boil water on the fire, let it sit, and pour it in your Nalgene, or fill your Nalgene with regular water and place it on the outskirts of the fire for a few minute with the top closed. I have a Goal Zero Guide 10 that I swear by. To charge it up, I attach it to my backpack on long hikes and voila—it’s ready to go to work in no time. Admittedly, this is the most obvious entry, but it’s one of those things that people always forgot to pack. It’s especially useful for a day out on the trails when you need to stay hydrated, or after a long night of singing '90s pop songs around the fire. It's also way cheaper than lugging OJ. Alex Robinson is a senior editor at Supercompressor. He believes the best uses for ropes and tarps are as swings and Slip 'N Slides. Follow him on Twitter @ItsAlexRobinson.